2013 was a busy year, in a good way, but nonetheless busy as hell. The only thing that kept me going was the fact that we’d decided against taking a summer holiday and booked a trip for November instead. Ten days on a beach in the sunshine, following the craziness of the Dublin Book Festival and before the Christmas mayhem. We ate, basked in the sunshine, swam with turtles and witnessed 130 baby turtles hatching on the beach. Watching them flap their way across the sand, making their first journey to sea was a magical sight. I’ve returned refreshed and have a list of resolutions for 2014. As I sit writing this, I’m making my way through my chocolate advent calendar. I have 19 days to catch up on and I have 4 more doors to open. Needless to say, eating less chocolate is on my list of resolutions. There are 8 more sleeps till we tear open the packages that are sitting patiently beneath the Christmas Tree. Another 13 sleeps till we greet 2014. Everyone is wondering what to do, so I thought I’d put a few ideas together to inspire you! Dublin seems to be the place to spend NYE with lots happening in the run up to NYE and on the day/night itself. A free family event kicking off at 6pm on St. Stephens Green- meet between Dawson St and Grafton St. Follow the music and street performers through the illuminated streets of Dublin bringing a close to the year of the Gathering – don’t forget to bring your own light sources or children can take part in one of the free lantern making workshops in Dublin Tourism. Be sure to register in advance for the procession and workshops as registration is mandatory. 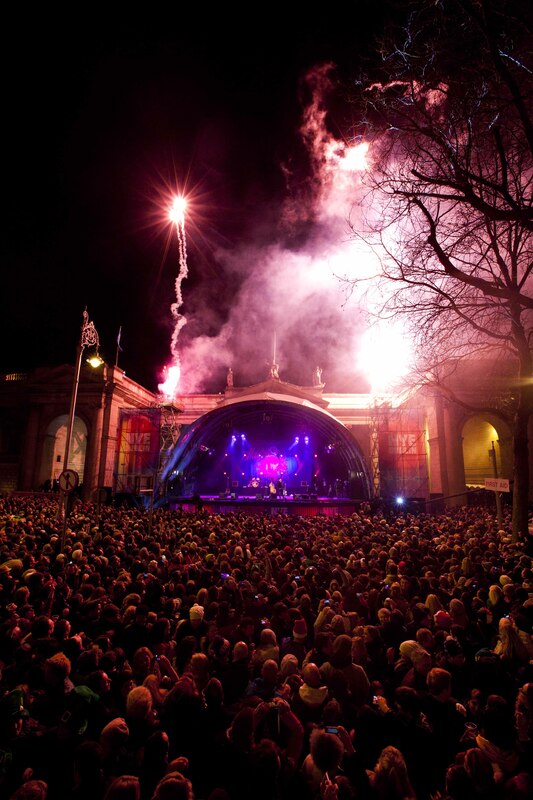 An evening of music with acts including Madness, Ryan Sheridan, MKS (Mutya, Keisha and Siobhan – the founding members of Sugababes), The Strypes and light projections around College Green for the Countdown. Next day, meet up, chill out and wind down with the whole family at The Big Brunch at Meeting House Square in Temple Bar (New Year’s Day, January 1st). Wave goodbye to ‘The Old Year’ in Portmagee as part of the Old Year Festival. Celebrated for over 150 years, the street parade is led by a piper and burning turf torches, alongside an old man dressed as the Old Year. On the stroke of midnight he disappears and is replaced by a young man symbolising the New Year. Music, fun and a street parade to bring in 2014. Or take to the streets of Dingle to celebrate with a stunning fireworks display over Dingle Harbour and the Dingle Fife and Drum band ringing in the New Year. 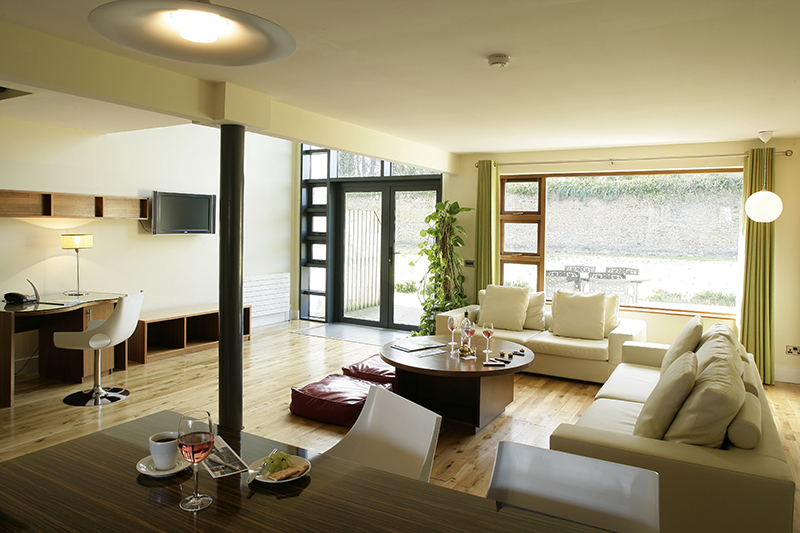 New to the scene, Natural Retreats have opened a number of self-catering lodges on the grounds of the five-star Castlemartyr Resort in Cork. The luxurious 2 bedroom lodges are decked out to impress and make for a wonderful family getaway or ring in the NY with some friends. A major attraction is that you can take your dog too, so nobody gets left behind! Nestled in the heart of Fermanagh’s Lakeland area, Lustybeg island offers the perfect family retreat over New Years. Get cosy in the log cabins, cycle around the island, have a shot at Clay Pigeon Shooting or archery or simply relax in the Voya Spa. Cost: €95 per adult sharing includes B&B, gala dinner with band. Note: Children are charged a supplement. Hidden Ireland offers a variety of accommodation types from rural rectories to grand Georgian manors. The properties are all privately owned and are perfect for group parties. Get a gang together and rent a house and celebrate in style. 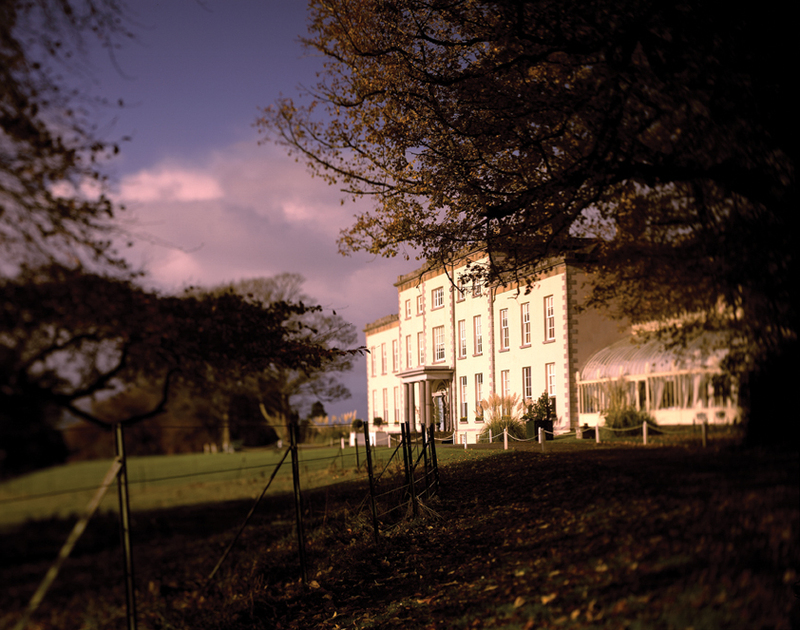 Martinstown House, Co Kildare – caters for groups of up to 12 people. With a welcoming afternoon tea, 7 course dinner and champagne reception you can ring in 2014 in style! Two-night package over NYE – with dinner and dancing on NYE and a candlelit dinner on the alternate night. Two-night package over New Year’s including 2 B&B and a gala dinner and drinks reception on NYE. What month and hotel would you recommend in the Caribbean is a cruise advisable or flying via Miami/New York . Hi Carol, we went in late November which is the end of the rainy season but temps were really good. Not too hot, a little rain but it clears quickly. December- March is best time but gets hotter as the months go on. We preferred the cooler temps of 25! My parents have done a cruise there and loved it as they got to see the diff islands and I actually think it’s a great way to see the area. 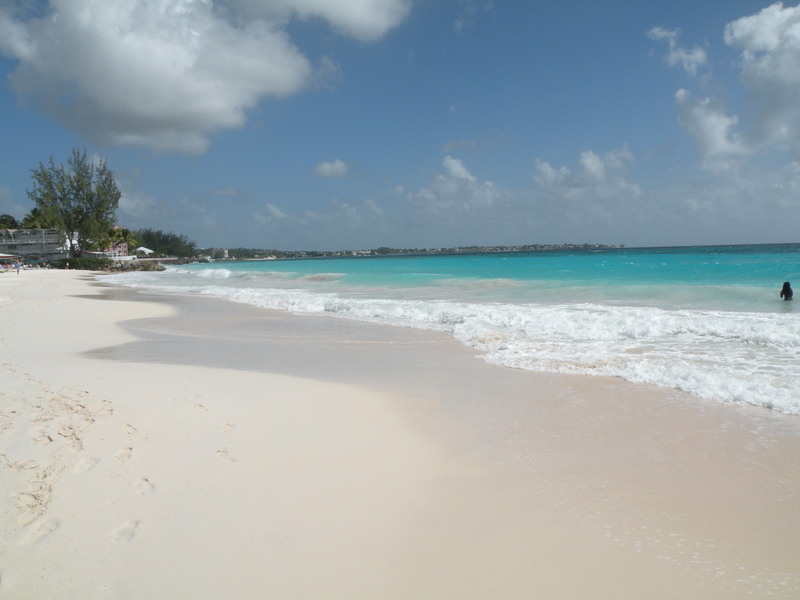 We were in Barbados and stayed in Sandals Resort which are great hotels. There are excellent deals from Irish travel agents for the area – Topflight, American Holidays, Sunway – so check them out for prices. You could do a cruise out if NYC around Car. Which I think would be great! Hope this helps.